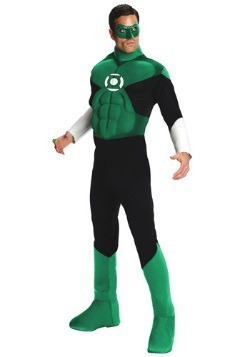 What will you do when you are chosen to join the Green Lantern Corps? Will you reject it out of fear or selfishness? Or will you accept the challenge to wear the ring that has earned the reputation of being the most powerful weapon in the universe. That's a lot of responsibility, but considering the powers and abilities you get in exchange it might not be a bad deal. The power ring is known for having such powers as force field generation, flight, teleportation, time travel, translation of nearly all languages, telepathy, hypnosis, ability to phase through solid objects, invisibility and more. You also will probably get to be friends with the Flash and that's pretty cool too. 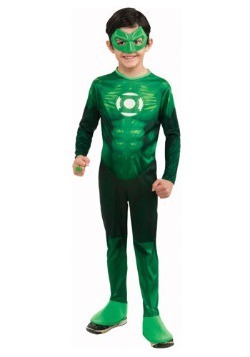 While waiting for one of the Guardians of the Universe to bestow the ring onto you, prepare for how awesome it will be to become a superhero with our collection of Green Lantern costumes. 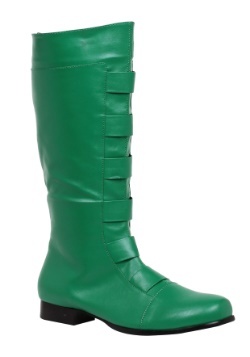 We have sizes and styles for everyone. Also, just for practice, pick up a Green Lantern ring and try your hand at controlling you will in order to manifest things. It's pretty hard so you might not get it on your first couple of tries, but who knows? Maybe you're commitment to the role will get the attention of our alien observers when it's time to choose their next hero!